I, like many of you, have watched a lot of Christmas specials, and I thought that I had acquired a decent cache of seasonal pop culture knowledge. But I was wrong—and you might be wrong, too. 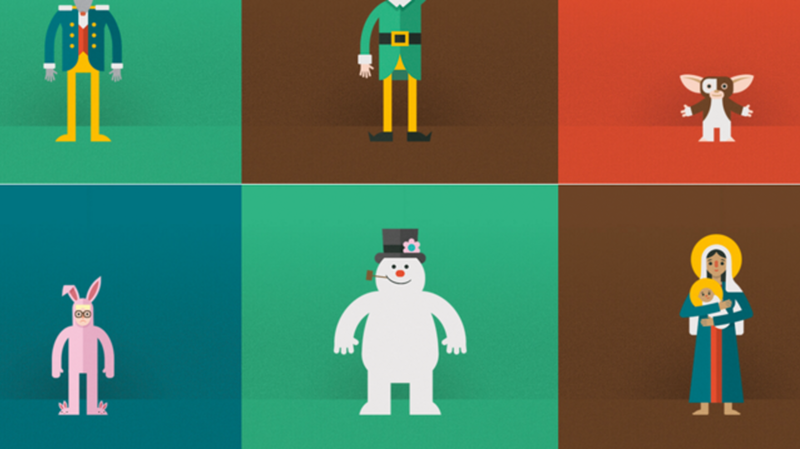 The best way to test out your knowledge is with this holiday quiz called "Merry Quizmas." The quiz—which was created by James Kenison (who also did the illustrations), Tad Thorley, Ryan Croker, and Daniel Blaser—asks players to correctly identify each character; all the characters have been featured in a festive movie, song, book, story, or TV show (it's still up for debate if Die Hard counts as a holiday movie). The quiz will accept either the character's name or the source material title, but is very lenient about it (I was able to use an actor's name for one of the answers). There's no time limit, so you can be leisurely about your guessing. Take the quiz and feel free to share your scores in the comments.